What exactly is a MISDEMEANOR? Misdemeanor by definition is a minor wrongdoing; a non-indictable offense that is less serious than a felony. 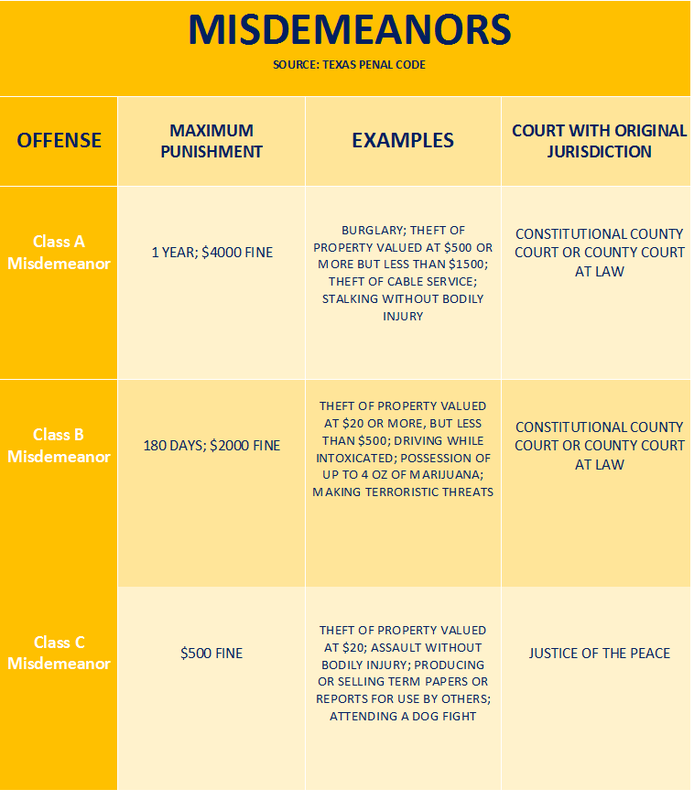 To demonstrate a clear depiction of the different misdemeanor classes (per Texas law), this chart was created. Take a look and understand what charges Texas considers a misdemeanor and stay tuned for a similar chart on Felonies.